You may expect that just about everything Walmart sells is made overseas by cheap labor. However, you may be surprised to find that their Douglas line of tires is actually manufactured in the U.S. by Goodyear or Kelly-Springfield (a subsidiary of Goodyear). The brand is sold exclusively at Walmart stores, and is a good budget alternative if you are concerned about tires made overseas. However, just because a tire is made in a certain country does not guarantee it is good or bad. Cheaper tires in general will contain less (or inferior) material supporting the rubber. Always be sure to buy a tire that meets or exceeds your car or truck's Load Range and Speed Rating. 4.3 out of 5 based on 61 user ratings as of 9/10/16. 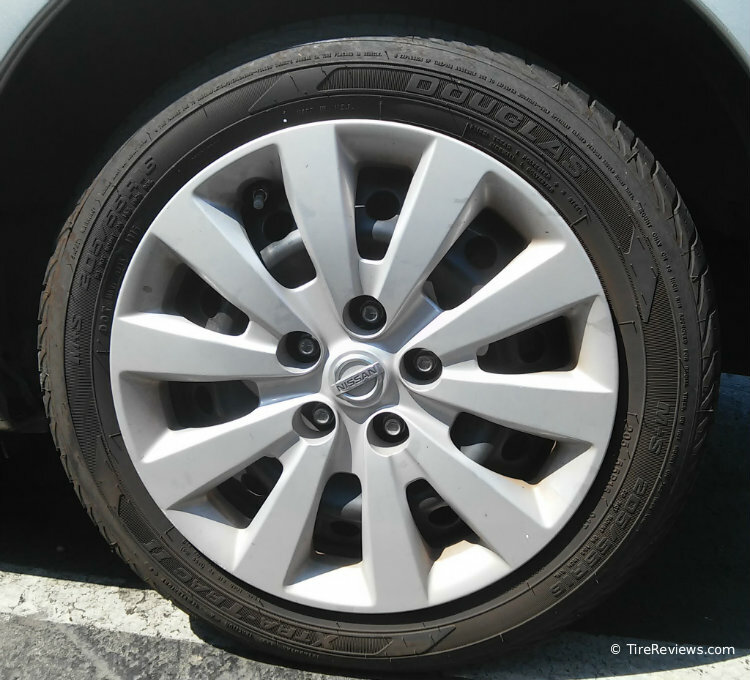 This is a standard Touring All-Season tire with a 45k mile warranty, which has better than average reviews. We would compare them to our favorite Touring tires, listed below, which feature a longer warranty. 4.0 out of 5 based on 118 user ratings as of 9/8/2016. This appears to be Douglas's Grand Touring tire, with a 45k mile warranty. There are better options for an affordable GT tire, such as the 4.7 General Altimax RT43 and the 4.7 Kumho Solus TA71. 4.5 out of 5 based on 40 user ratings as of 9/8/2016. Walmart offers a 45k mile warranty on this performance tire, which has a good average review rating. 4.0 out of 5 based on 51 user ratings as of 9/8/2016. If you are looking for true performance, you will want to compare against the best tires in the UHP category.